I stopped using a punishment system in my classroom, when I realized I already knew who would get in trouble. I stopped using a reward system in my classroom, when I realized I knew who would be rewarded. Few kids ever proved me wrong, instead they mostly stayed within the track that my management system had placed them in. And those that were always on the board? Who I was always calling out? They didn’t stay there for lack of trying, oh I tried to reach those boys behaving badly(because let’s be honest most of them were boys). I tried to reason with them, talk about the future, praise them when they made better choices, point out their mistakes so they could fix them, help them grow, help them learn. Support them, guide them, punish them when needed. Sure, there was change. I could usually get them to work after a while. You take enough away and most kids will crumble at some point. You yell enough and most kids will get to it. But their behaviors never changed for good. The next day, the next week,sometimes the next period, the battle started over and sometimes I ran out of punishment options. Where do you go after you have sent a 10 year old kid to the office, had the principal yell at them, and pulled in their parents? Do you start to suspend so that they will work harder? Do you take away every privilige until they break? It wasn’t until I got rid of my systems and started working on relationships, community, trust, and creating a passionate classroom environment, that the behaviors changed. It wasn’t until I took down the behavior charts, and started to get to know my students better that the kids, those kids, started to care more. As one principal told me, “It is not for themselves they work, it is for you, we will get them to work for themselves later.” So I set out to create an environment where they wanted to be, create a classroom filled with learning that spoke to them. That didn’t mean throwing out the curriculum but it meant working with it in a different way to reignite a curiosity that had been forgotten. It didn’t always work, sometimes kids come to us with bigger demons than we can ever fight, but a seed had been planted in some of these kids that perhaps school wasn’t just out to get them. In the end, what we do is about children, and I chose to get rid of a system that did not work for my students, nor me. It did not promote unity, self-control, or solutions. It was a quick fix that sure let a child know where they stood for the day, but also let the rest of the world know. As an adult, I am given the privilege of a private conversation whenever I screw up. I wanted to afford my students the same thing. That doesn’t mean I baby them, nor that they are coddled. My difficult children, the ones that fist fought, that threw tables, that told me that there was nothing I could do about it. They were the ones that needed me the most. They were the ones that needed some control the most. You may not agree with me on public behavior charts, you may even want to attack me personally, calling me delusional or worse. But the kids? They are not all bad kids, who we need to toughen up. Some of these kids have had lives that I could never imagine dealing with. They are not all kids that get away with whatever they want. They are not all kids whose parents are not raising them right. They are kids who are trying. They are kids who want to make good choices. They are kids who probably have dreams. They are kids…Let’s not forget that. Next postWhat’s Your Change this Summer? Away with behavior charts, I totally agree. As educators, it all begins with the relationships we form with our learners. This is the starting point and springboard for all of the other great things to happen. As you said Pernille, creating a learning rich, safe environment for our students is essential should we want our students to thrive. Control and compliance simply doesn’t work. Sure, the students will do what we want and generally behave in ways we wish them to behave. However, each and every student brings with them a vast amount of uniqueness. What works for one will not work for all. Getting to know what makes our students tick requires us to get into their head space and learn about them on so many different levels. The battle is won when we reach this point and there will no longer be a need to publicly assess behavior and use rewards and punishments. I’m not there myself and am still working on it. I am a single subject teacher and am responsible for teaching PE to over 300 students. How do I get to know all of my students? I take the time to have as many conversations with them as possible both in and out of class. What I can proudly say is that when I am at assembly and I scan the audience and look at all of their faces, I know that I have had special moments getting to know each and every one of them. To me that is what it is all about. Once we have established these relationships, the rest of our job is so much easier to carry on with. I am not implying that teachers who use behavior charts don’t care. I just don’t see these charts and systems as being the catalysts to genuine and authentic learning and engagement in education. It is interesting that you are posting about this at this time. I came to this conclusion last school year. The same students were being moved to yellow or red each day. I realized the behavior charts just don’t work. How do you hold a student with bipolar to the exact same penalties as the naturally compliant child? The students don’t start on a level playing field. Even in our criminal justice system, judges take into account all sorts of things when sentencing convicted criminals. Even CRIMINALS are treated differently depending on their background. How can we do no less for CHILDREN? I loved your posts as they presented a different point of view. I have become frustrated with behavior systems and was thinking of really ratcheting down. Knowing you have had success emboldens me. Thank you. I have never used a behavior chart. When one was required of me, I taught the kids about self control and told them if they wanted their own visual reminder to do better, they were welcome to use it. No one did. I do lots of lessons about self control. being more powerful than someone is not ensuring they will do the right thing when no one is watching. I love your classroom management style. I’ve watched a teacher who has a similar philosophy create a classroom of cooperation, respect and engagement. I was sold. When students are treated with respect they treat others with respect – no system of rewards or punishment is necessary. In fact, it seems patronizing once you’ve seen a classroom operate without it. Children do well when they can. It’s amazing that teachers and interventionists recognize the struggles and inherent value of students with delays in reading or math but not in behavior. These students need our support in order to learn better so they can do better. Shaming them does not teach them anything when they don’t have the fundamental behavior skills required. Creating a classroom environment that models respect, problem solving, cooperation, self control, community, accountability – this is the best way to help all students. Thank you for igniting this discussion and reinforcing that children matter. This online debate which was ignited by Pernille is one I also feel strongly about and have blogged about before too. After a colleague showed me a slightly different behaviour chart system she was going to try this year, I thought yeah I’ll give that a go…looked good…seemed like an easy to use classroom system to follow. I will admit, I have tried to use it…thought I’d better use it….have to use something don’t I…but just find I don’t need to. Like many who have posted comments about this debate, for me it is about the relationship you build with the kids…and that’s it really. I know there will be skeptics…but that IS it…I spend close to 20 minutes of EVERY morning…yes EVERY morning… in discussion with my class…allowing them to share pieces of their lives which they want the rest of us to hear about, incidents, accidents, meals cooked for families, new babies being born, adventures on the farm, youth group games, weekend antics, gaming guff, sports results…and so it goes on. I know my kids pretty well…really well…I hope they get the vibe that I care, that I am interested. I know instantly when a particular student has walked into our room in the morning and is not in a good space…we deal with it straight away so he is not set up to fail that morning. I have kids who are sharing who would not talk before. It is the best thing I can do in my classroom every morning…give them time to talk. I’m with you. I’ve just said goodbye to a very challenging cohort of students with a variety of social, emotional, and academic needs. It was an exhausting school year and I never quite figured out how to create a strong community with them. We cobbled things together and we did okay, but the connections were not solid in spite of my efforts and I feel very conflicted about how things went. I’ve never been organized enough to keep track of behavior charts/reward systems, so that’s a moot point for me, but philosophically I remain opposed to them and have no intention of trying to use them. When people feel they matter, when all voices are heard in ways they feel they are valued, the behaviors lessen and the learning increases. I keep working toward this goal because I believe in its power. Go Pernille! It is funny because as a middle school teacher, you have to build relationships and make connections with students to change their behavior and increase their motivation and work ethic (you don’t see many behavior charts on the walls). I have this discussion about behavior and failure with many colleagues often. When I get into a heated discussion with someone about this, I try to remind them just what Tammi said above – No student wakes up in the morning and thinks or says to himself/herself: “I cannot wait to fail and get in trouble today!” Some of those kiddos are so used to getting that response that they have given up. By the time they get to middle school, it is all the more important to build that relationship and let them know that failure and misbehavior is not an option and that you are their partner in change. Just like you wrote a few posts ago, we need to teach students that they are responsible for “their story” and that they can tell it a new way with our support. In your move to the middle school, your philosophies will transfer well with your new students and you will find that your classroom will be a place of refuge for many students. You will notice that when they walk into your classroom a relaxation will come over them. They will know that they can be themselves while working hard and participating. It is amazing to see, after you spend the first few months building your incredible classroom environment. Thanks for starting this “hot topic”, it is an important shift and I am sure that some of the folks you offended will stop and take a moment to reflect and think about how they can improve their classroom environments – perhaps by buying your book… I also believe that no teacher wakes up in the morning and hopes that her students will fail and misbehave so that he/she can use her “discipline” chart. As an instructional coach this post came at the most pressing time. One of my schools is looking at following a school-wide behavior chart system to help improve behaviors. I found this to not work for everyone and agree that we need to create positive interactions and relationships. It seemed to me through my career that they more I leaned on the reward charts the more students did things to see what they could get. While currently teaching ELL summer school I have had no behavior chart and I was still able to get students working and keep them on task with minimal behavior incidents…and this is a tough group! I did find an app with a wheel of fortune type spinner for students to spin to recieve a preset reward. I’ve also used a random name selector to keep a “mystery” student for good behaviors during class, walking in halls, etc. Even one of the most challenging student was transformed by this simple tool and earned computer time for his great behavior. What a way to make sure I was unbiased in rewards and keep the whole class on their best behavior! I had the privilege of attending a workshop by Anita Archer who had the same random reward type system for all participants. Worth a try! Thank you for this. The negative comments in your post make children seem like the enemy, and that the goal of school is to break them. School is not prison, we don’t send children to amend for bad behavior we are supposed to be fostering love of learning and how to be part of a group. Pernille, you know that I agree with you 100% on this issue and I have always spoken out against the “descending levels” models of behavior mod. From the pushback I have received over the years, I can tell you a few reasons why some people have a knee-jerk reaction to anything that suggests building relationships over a behavior management system. I am sharing these points without judgment, to hopefully lend some insight as to why your original post went viral and why so many people took it as a personal attack. 1) They can’t fathom how you maintain order in a classroom just based on relationships and rapport. It does not seem possible to them, in any way. Total fantasy land and out of touch. 2) They assume that understanding kids’ needs = coddling, and that without a formal chart or system, there are no consequences for misbehavior or rules that students must follow. They value order and respect and assume that you value children’s personal freedoms instead. The two are in many ways mutually exclusive to them. 4) They are tired of being told what to do in their classrooms. Everything teachers do these days is wrong. The last thing they want is another teacher telling them they messed up and need to change everything…again. 5) They feel powerless in their classrooms. They know that teachers really don’t have control over kids anymore, and that is scary. Violent children control the learning environment and there is little support from admin. If there is anyone reading this who can identify with any of those statements, I highly encourage you to read Pernille’s book “Passionate Leaners.” She explains how her thinking on running a classroom has changed over the years and how her new system works. It’s inspiring, practical, and will change your entire perspective on teaching. As a parent I prefer to error on the side of a loving teacher who will work with kids who have problems instead of punishing them to ‘toughen them up’ or ‘make them learn values’. I wonder if they want their children’s teachers to toughen up their kids and make them learn values? I can’t agree more with you. I’ve been using “Discipline without Stress, Consequences, or Rewards” by Marvin Marshall (www.marvinmarshall.com) for almost 4 years and it had totally turned my teaching world upside down. It focuses on personal responsibility, positivity, and making choices. I still fall back into rewards and consequences from time to time, but am soon disappointed with the temporary results. Thanks for posting this. Perfect. You did what works best for your kiddos, not what may be the easiest to use or manage. My 5 year old kindergartner has been in school 6 weeks and comes home almost every day upset because he is usually on RED, ORANGE or YELLOW (Green being “average”). He is a very energetic, happy and compliant child at home. At school he is, according to his teacher, NEVER mean or disrespectful, just is active and has difficulty “staying on task”. Now my child says he HATES school and cries most mornings (he rarely fussed about preschool). How do I educate the teacher as to the problems with this daily public display of humiliation without alienating her and making it harder for my child? I think your child liking school is worth perhaps alienating a teacher for, and I don’t say that lightly at all. However, don’t assume that you will alienate. I would broach the subject directly and face to face, ask for a meeting and explain what you see happening. Ask for a separate system for your child that is not public. Most teachers I have met will gladly work with a parent, even if they are not ready to give up on their public behavior system. I am currently trying to fight for my child in regards to the behavior color chart system. Her behavior this year has been exceptional but it’s also only the first week of school. It probably sounds like I have no reason to be concerned based on that statement. I promise it wasn’t like this when she was in kindergarten. It was a very traumatizing experience for not only my child but our whole family. I am not claiming to be a perfect or fully educated parent but when your maternal “spidey senses” are tingling, informing you there is a problem, you act. Going back to the beginning of kindergarten things were fine and dandy. She’d come home with green, blue, or purple. She’d be so excited to let us know how happy she was at school and how much she loved going. That was until she got red and I received the first of many calls to come to the school for her behavior. They informed me that my child had turned over a desk, a chair, tried to run away from the teacher, and tried to get physical with both teachers and students. I was so shocked because she hadn’t displayed any of this at home. I was very concerned but I thought well they know what’s best. Of course she had tantrums, like all kids do, but I felt like it was excessive in the school setting but I chalked it up to being in a new environment. Her original teacher gave up on her and asked to have her transferred to another teacher’s class. We proceeded to set up an IEP and FBA meeting after several other incidents of violence and trying to run away. I had her evaluated by a pediatric psychiatrist who came to the diagnosis of ODD, which I had never heard of (I even asked why they were calling my child odd until I understood it was just an abbreviation lol). Based on that diagnosis the school made slight changes. They tried isolation with bad behavior. They set her up with a buddy plan with other staff members to help calm her down when she was upset or help control the situation when she became volatile. When those stopped being effective they would just call me to pick her up saying she was suspended either for the rest of the day or a few days. I observed the twisted view she was developing of “good” and “bad” and how it continued to worsen with every week of “bad” colors. The other students in her class would even segregate themselves from her and tell her she was bad. By the end of the year there were many, in my opinion, unnecessary suspensions but I didn’t know I could fight it. I just always thought they were trained to deal with these things and they knew what was best. My daughter had very little self-esteem and her spirit appeared so broken. During the summer after kindergarten I would be watching and listening to my daughter play or draw independently and noticed she would talk so negatively about herself and use the word bad to describe herself or write “I am bad” on papers. My heart was breaking for my child so I sought out parenting help and decided to homeschool the following year. After changing many things I was doing as her parent and the one-on-one teaching I saw a change in her behavior and general spirit. My outgoing, happy child was back and more confident and fierce than ever. I was so excited for her. She moved so quickly through her curriculum there were days that I had to find extra practice or just take breaks and do fun thing for a few days. We met up with a play date group once a week where I met another mother who use to be a child advocate in the schools (I’m not sure all the details of her job or qualifications). She helped me realize I had every right to fight the school and educated me with resources and support. Due to personal reasons I could not homeschool another year so fearfully I registered my daughter for public school again. I haven’t mentioned all of the details but I KNOW the color chart system attributed to these radical behaviors in my child. I also feel the school wronged her on many levels and were unprofessional at times. Since she is attending the same school my worry is very strong. She has received yellow on 2 days and she was so upset getting off the bus that she couldn’t look at me and she would cry trying to tell me what all happened. Both times her offense was talking when she shouldn’t be. I completely understand that it is extremely important for all children to be able to focus and hear the teacher when she’s teaching. My issue is when she was asked to move her clip from green to yellow she wouldn’t do it, she would shut down, not respond, not participate. Luckily, her teacher is great and allowed her time to cool down on her own. I have spoken to her on the phone and she seems so Caring and on board to help my daughter succeed this year. On the other hand though, she referred me to the disciplinarian and upon “speaking” to him (the “” is because it was more like he was arguing with me) he informed me that the behavior color chart system was put into place because it’s effective. I was made aware that it also has positive forms of discipline and there are systems of reward the teachers used in addition to the behavior color chart system. I was also told that it worked for him, his children, and the majority of other children but that I could have an FBA done this year to see if there is need to make changes with just my child. I don’t think her behavior is currently a problem but I am very concerned about regression in her behavior. I was also informed that since she has received green since getting 2 yellows it’s obviously effective for her. I am so torn and emotional. I also want to fight for all the children this system is failing who maybe don’t have the support or confidence boosters they need at home. I know the behavior color chart system may not have EVERYTHING to do with the issues my child had. I know in part the school did wrong too. I’m just trying to find out what I can do. Does anyone have any suggestions or advice? P.S. One thing I have tried to do is tell her repeatedly that I don’t care what COLOR she gets as long as her behavior is acceptable. I’m not saying talking when she shouldn’t be is acceptable but I did help her understand that there are right and wrong times to be talking during class and if she didn’t know if it was ok or not to ask the teacher. Having everyday conversation about her day has also reveled to me that the way I’m sure her class once felt about her is now how she feels about another student who frequently receives red and orange. That saddens me even more. I’ve asked my daughter to try to befriend this child because maybe at home they don’t have support and at school it’s hard to feel cared about if you feel like you fail so often. I’m NOT forcing my daughter to be friends with this child. Just asking her to give them another chance and maybe get to know them. I have posted your comment on Facebook in order to have others help you sort through with ideas. Here is one comment I got: I haven’t used public behavior charts in over two decades, and back then only because that’s what I learned in college/student teaching. 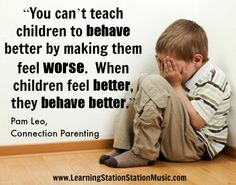 Simply put, one kid’s behavior is NOBODY ELSE’S BUSINESS! If somebody made a poor choice at 8:00am, does a visiting parent volunteer that walks into the room that afternoon need to see a different color-coded card and then (usually, quickly) assume the worst? No! Do we need to alienate that child even more? No! I keep a small recipe box on my desk where kids have individual cards with comments and contact info. If absolutely necessary, the child goes to the box and turns up the card as a reminder to me to check in with them later. During that check in, he/she tells me what was going on, why, and a plan to fix it. If really necessary, they take it out of the box and lay it near my phone. This is usually a home contact, but for the same reasons. Why was the poor choice made and how can we prevent it? Quite often I’m able to put the recipe box away within a couple months and we never even think about it again.